Item # 298079 Stash Points: 2,199 (?) This is the number of points you get in The Zumiez Stash for purchasing this item. Stash points are redeemable for exclusive rewards only available to Zumiez Stash members. To redeem your points check out the rewards catalog on thestash.zumiez.com. 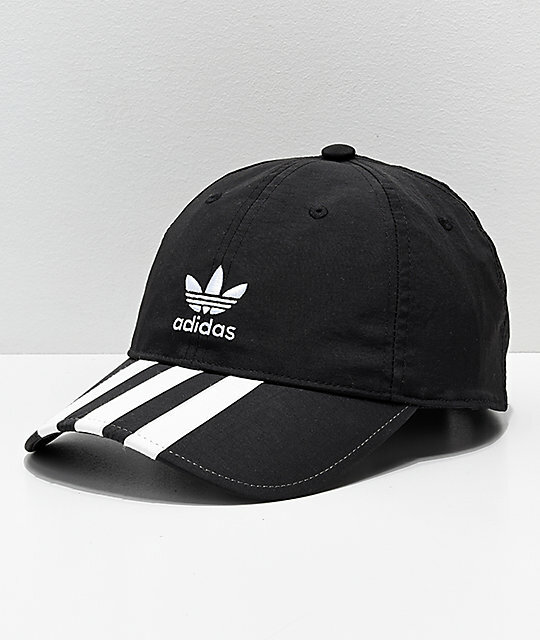 Provide your look a touch of Euro-athletic styling with adidas' Mens Relaxed Black and White Striped Strapback Hat. 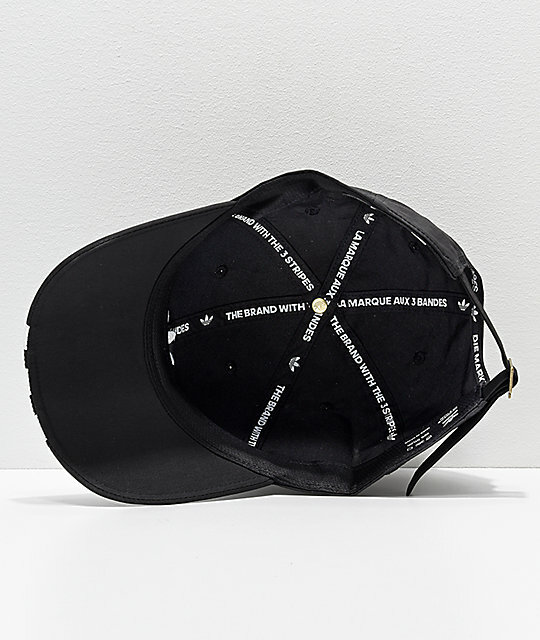 This accessory displays the brand's signature Trefoil logo embroidered on the front crown while the top of the curved bill is stitched with adidas' 3-stripe logo. 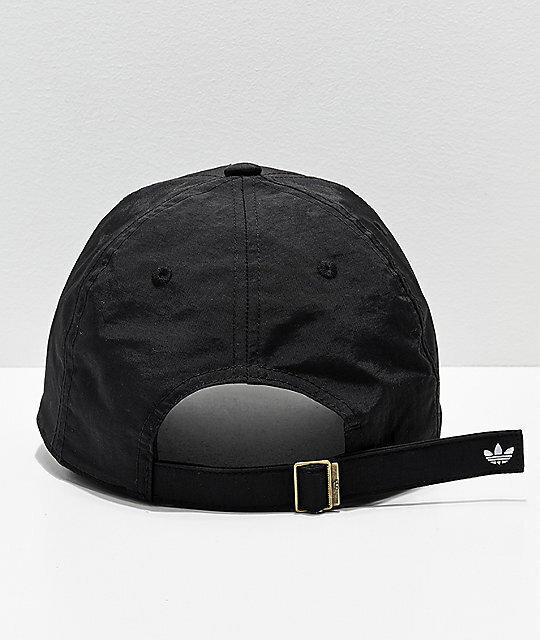 Relaxed Black & White Striped Strapback Hat from adidas. Embroidered adidas Trefoil logo graphics on front crown. Stitched 3-stripe logo details on top of curved bill.